A few simple steps and the right styling products can help you create a great style that fits you perfectly. LoveToKnow sought advice on short hair styling for mature ladies from experts Edmondo Blando, owner of Salon Vanity and an internationally-trained stylist, and Sanda Petrut, a top stylist of the renowned Maxine Salon in Chicago's Gold Coast neighborhood. 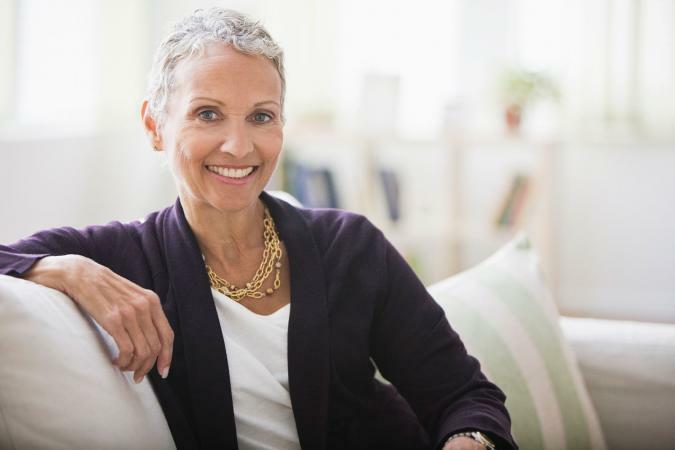 The following styles are not only flattering for mature women, but are easy to create as well. First, Sanda suggests applying mousse to damp hair, and recommends Kerastase Mousse Substantif. Next, blow dry using a vent brush while drying to create lift at the root. Finish the look with a small round brush to round the ends to obtain maximum volume. If you're styling a look like this with dry hair, Sanda suggests applying a product that will create texture, such as Shu Uemura Cotton Uzu. Apply mousse, such as the aforementioned Kerastase Mousse Substantif to damp hair. Next, Sanda says to blow dry the hair by flipping the back nape and the first inch on the sides directing back the hair. When styling, Sanda says, you'll want to think of hair being blown by the wind. Style using a small round-brush on the top to smooth the hair and add volume. Use a medium large round brush while drying to add additional volume and smooth the hair. Use a 1" curling iron to create the curls and add texture to the hair. (Turn the ends of the curls facing outward or inward toward your face, depending on how you want the style to look). Complete you look with a light-hold hairspray once you have the curls in place. Scrunch the bottom of the hair with curling cream or gel to create some waves. Then, blowout the top smooth. Apply a volumizing cream to damp hair and you're ready for the day. Blown dry in different directions for a relaxed, casual style. Combed neatly with gel and parted to the side for a polished look (if your hair is extremely fine or you have obvious thinning areas, be cautious with this look, however). Curled with a small barrel curling iron and finger-combed for an easy, feminine style. A short style can get added impact with side swept bangs. Edmondo says this is a great accent because "bangs work for every face shape and every texture of hair." These bangs also have the added advantages of softening the face and hiding fine lines on the forehead. These type of bangs work well with short, cropped cuts. Blow dry the bangs with a brush underneath in to add volume. Choose where to you want your bangs parted (many women choose an off-center part), then brush the bangs to either side. Mist lightly with a flexible hold hairspray to set the style but allow movement. Embrace natural texture by using a curling rod. Hot rollers are another great option for an old Hollywood look. After curling the hair or taking out the hot rollers, finger through. Then gently brush the hair. Shu Uemura Essence Absolue: "This conditioning oil moisturizes dry, damaged hair while adding shine." Shu Uemura Muroto Volume: "This combination of lightweight, vitalizing shampoo, conditioner and hair mask helps to reinforce and rebuild the hair fiber adding vitality and shine." Avoid using too much styling product. Stiff hair overloaded with product is especially obvious on short hair. Consider styles with some softness rather than severe styles, which can emphasize fine lines. Consider volumizing products or root-lifting sprays for thicker-looking styles. Piecy, choppy and spiky styles work especially well for short hair and can look fabulous on older women. These can be great alternatives to perms for women who want a wash and wear look without curls. Update your short style to fit your lifestyle, and don't worry so much about following trends. Today, fashion is about making your own personal statement no matter what your age. If you want to wear your hair gray and spiked, go ahead if this is the image you want to convey. 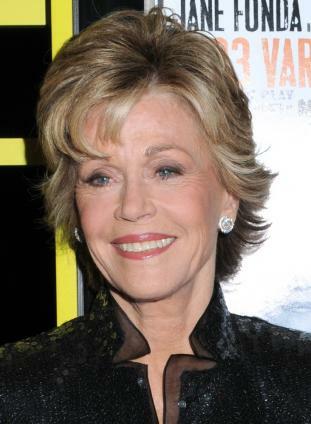 Short hairstyles for mature women are all about creating a look that works for you. Work closely with your stylist to come up with the cut that is best for you and your hair, and then play with different styling methods for one that makes you look and feel your very best.